I think the planets must have been in alignment today. On our way home from the kids’ gymnastics class, we popped into a store to pick up a few things, and wouldn’t you know it, almost everything I needed was on sale! A few of today’s finds. I love it when I find a great deal; even though it’s a necessary part of life, being frugal has become like a game for me. I think it helped that we were students before becoming parents, because we were used to living on the cheap. Despite living on a modest income, we’ve managed to maintain a decent standard of living because we do a lot of things ourselves rather than paying others to do it. It’s always been very important to me to buy as much of our food organic as we can, even more so after having children. When people argue that buying organic is too expensive, I would counter that it’s not worth saving a few cents a day if it means giving my child minute (and sometimes not so minute) doses of who knows what. Cut corners somewhere else. In order to afford organic options, I started making a lot of them myself. I’ve made my own bread for years (I love the Laurel’s Kitchen Bread Book, as well as the Tassajara Bread Book), including english muffins, pitas and tortillas. Organic milk and cream are much cheaper to buy than organic yogurt and butter, so why not make the yogurt and butter yourself? Or start making your own homemade soymilk. Not eating meat cuts those grocery bills down, as well as using dried beans instead of canned (a pressure cooker makes this even easier, but isn’t necessary). It helps that I love doing these kinds of things, but anyone can implement some of these measures to save money. Another thing I do, and it’s a pretty obvious one, is to buy large quantities of something when it’s on sale, which is what I did today. 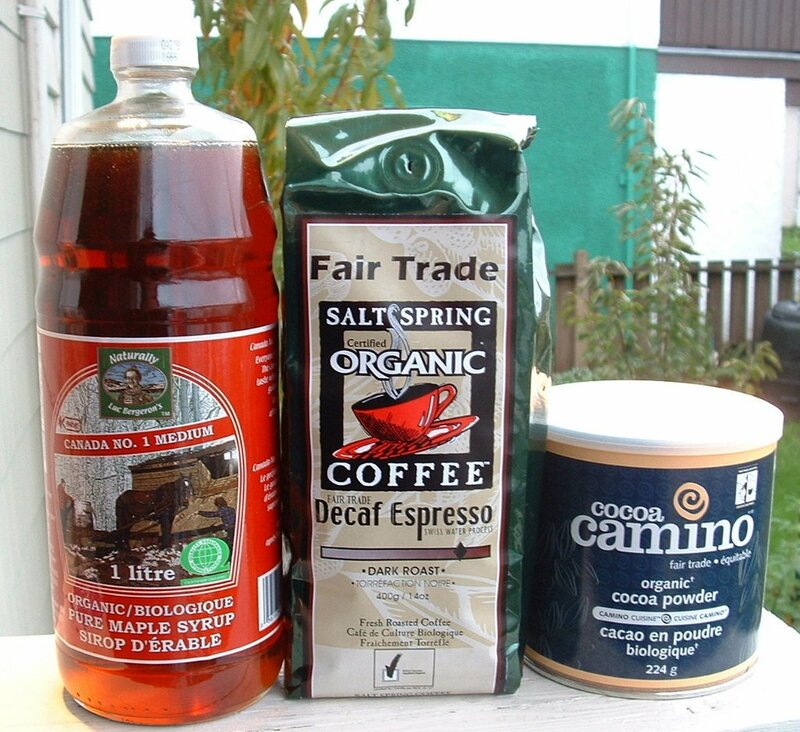 That way the organic items are often the same price, or cheaper, than their conventional counterparts. All of the things I bought today were almost half price, so I bought several of each and stowed them away. I saw a great deal on raisins awhile ago, and now I’ve got 8 pounds of them in my pantry. Buy it when you see it, and you may never have to pay full price again. The only problem is, where do I keep everything? What has saved us with the grocery bill is volunteering 8 hours monthly at our co-op for a 20% discount. Plus when I work, there is usually some old produce to score. Stephanie – There now, see, it must have been the planets! Burdockboy – That sounds like a great deal you’re getting at the co-op. And I know what you mean about the bakery detracting from your bread making. I just can’t make those specialty breads the way they can.